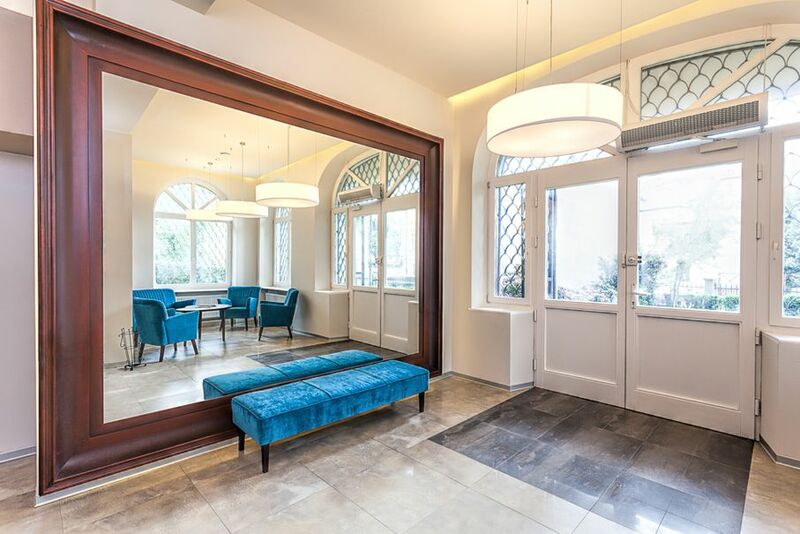 Add architectural interest and visual appeal to your home using mirrors. Tall and handsome or pretty and petite, mirrors are an essential part of home décor. Depending on where you put them, mirrors can either be the star of the show or play a supporting role. Wherever they go, they'll reflect light and give the illusion of more space. 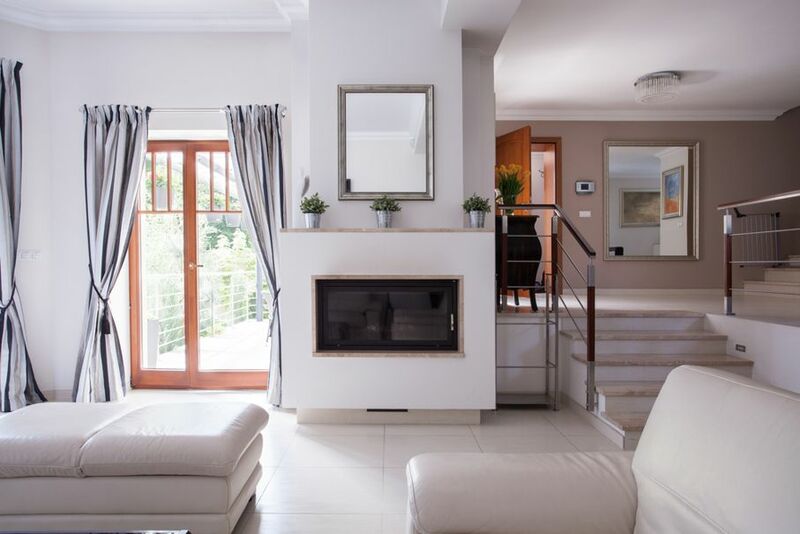 Place them strategically in places that deserve attention, and you will see that decorating your home with mirrors indoors and outside adds enchantment to your favorite spaces. 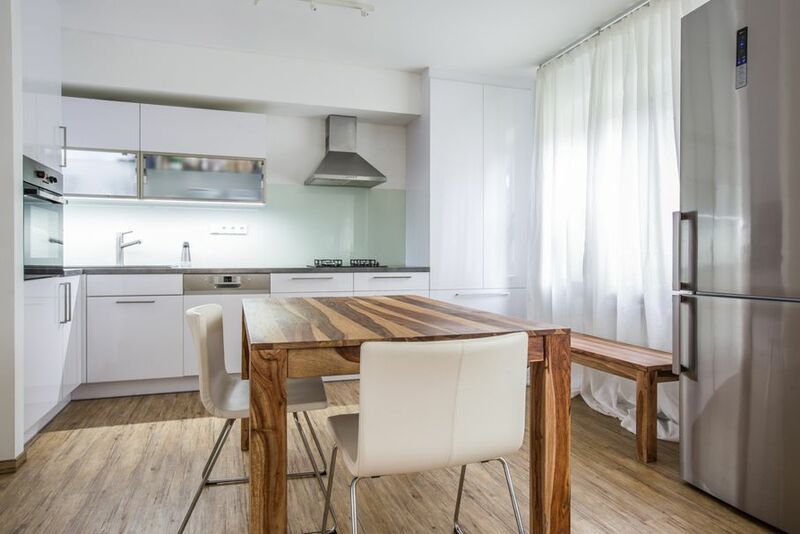 Whether you’re going for a vintage look or want to make your home a bit more modern, here are some ideas to get started. Tall, slender mirrors are perfect additions to the floor in a dining room, dressing room, living room, or any other space that needs a facelift. In a larger room, your mirror can function as a masterpiece. A beautiful framed ornamental mirror or vintage can easily be a standalone attraction. For a special effect, put a spotlight on it when it's dark out to create a magical glow. 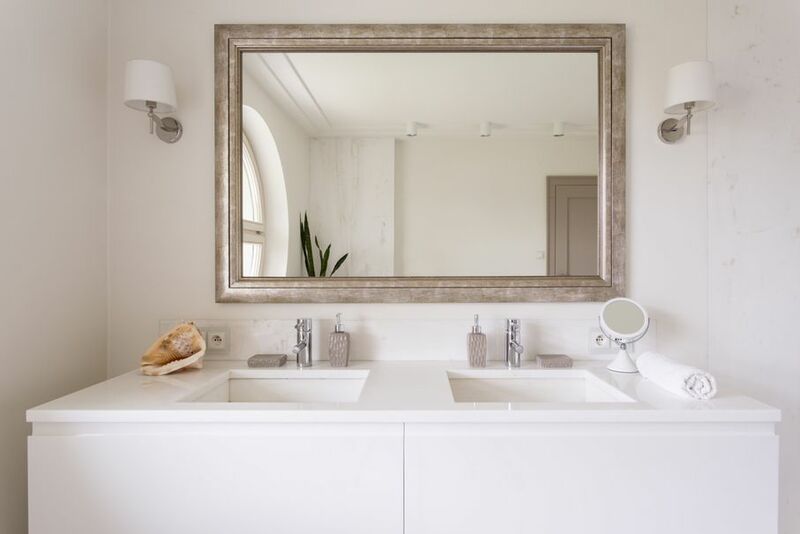 You might be tempted to hang mirrors wherever you see a patch of empty space, but designers say that one of the worst things homeowners can do is place mirrors haphazardly where they simply reflect random things. With mirrors in your art gallery, you can draw attention to a treasured piece of artwork. Mirrors with the same frame as your photographs give the wall a clean, uniform appearance. If you're out of fresh kitchen design ideas, consider mirrors. Adding stylish mirrors to your kitchen cabinets instantly updates the room's outdated look. Mirror-front cabinets can help break up the monotony of cabinets with a uniform color scheme. They also reflect natural light and brighten your kitchen. For a balanced look, match the cabinet and wall colors, and then attach mirrors to the cabinet doors. To brighten your cooking space, replace frosted glass panes on your upper cabinets with mirrors. 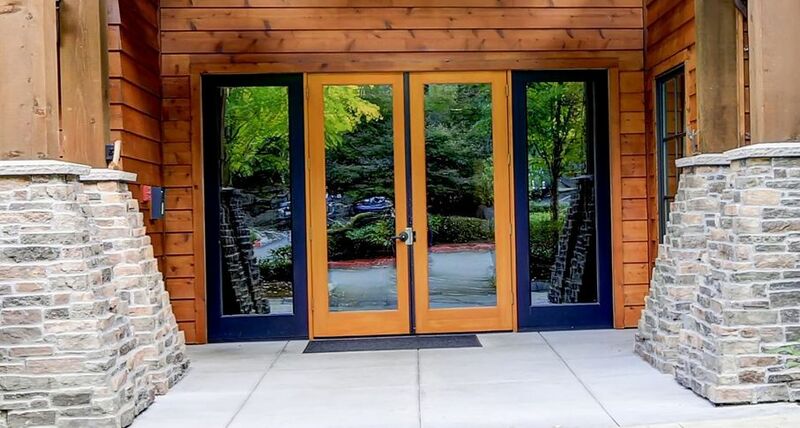 You might think of interior rooms when decorating with mirrors, but why not put them outside, too? Mirrors add romance and intrigue to outdoor spaces like patios and porches. They also bring a bit of indoor comfort outside. Hanging a mirror on an exterior wall will brighten up the surrounding area, as outside walls reflect sunlight. You'll also get views of your yard from various angles. 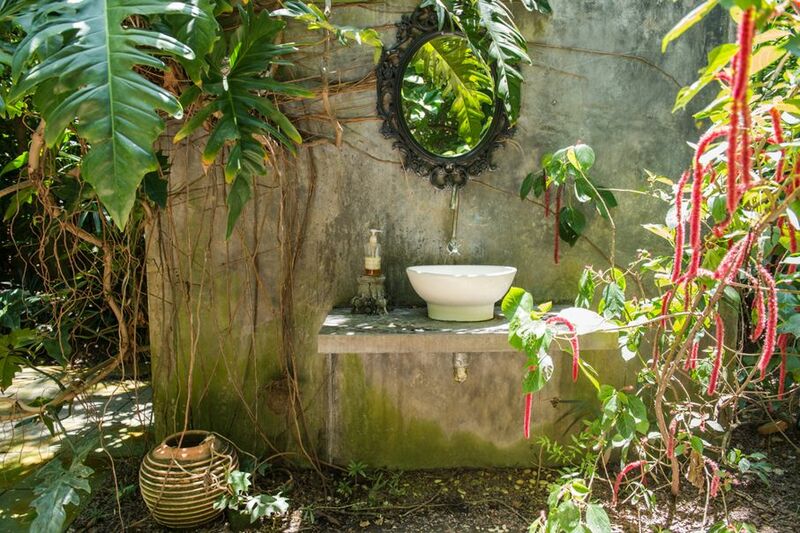 Outdoor mirrors look especially alluring when illuminated by candlelight in the evening. Your hallway is one of the most important areas of your home to decorate. This is especially true in smaller homes and apartments, which are already dark and narrow. The concept is similar to adding mirrors to your art gallery, but in this case, you'll use all mirrors, and the mirrors are the main attraction. You can highlight one large, stunning mirror in the hall, or hang up several mirrors with the same shape but different heights and widths. Hang them vertically and horizontally to fill in space. The bathroom is one of the most popular places to hang mirrors, and there’s quite a bit of room for creativity. First, decide what look you're going for. Square mirrors will brighten the bathroom, while round mirrors are best for showing your reflection. Taller mirrors are ideal for bathrooms that are short on space, while smaller mirrors leave room to step back and check your reflection. You can also pick a mirror based on its magnification level. Of all living room ideas, a fireplace mirror is tops. Mirrors are great for holidays and year-round elegance. Experts recommend using a versatile mirror shape such as a vertical rectangle. This mirror is one of the most popular with its long, lean design that resembles a painting. Use a simple but elegant mirror to accent the beauty of your fireplace, or start conversations with a dazzling decorative mirror. Room designers recommend hanging the mirror 4-5 inches above the mantel to prevent casting shadows on the surrounding areas. When you have a room that doesn't have a great view, feels too big, or isn't intimate enough, put a mirror over the window. The mirror will give your eyes a focal point and a visual stopping point. Give your vintage room a touch-up with a distressed antique white mirror, or put in a wood-framed mirror to enhance your home's rustic look. 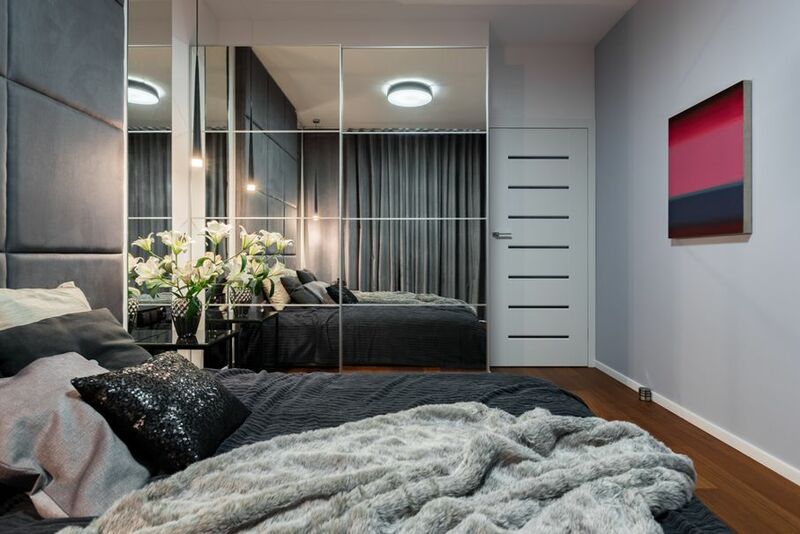 If your home lacks a dressing room, or if you just want to dress up your bedroom, adding mirrored panels to your wardrobe or closet works wonders. In addition to giving your room a glamorous update, a panel of mirrors naturally adds light and brightness to the room. Classic colors like white and neutral tones create a sophisticated look. Any design planner will agree that the entryway is one of the best places for a mirror. You can spruce up your door's look simply by adding a mirror to it. A mirror can add a modern look to a rustic door, and a beautiful mirror can sharpen the look or cover up flaws of a cheap, older door. Inside and out, there are many ways to decorate your home with mirrors. These versatile design tools can be functional, decorative, or both. It's perfectly fine to add large mirrors to small rooms, provided the mirrors can work as standalone attractions. If there's one place you should avoid putting a mirror, it's on the ceiling. Doing so can look cheap and tacky, and it's also dangerous! When in doubt, call a professional to help you install your mirrors. 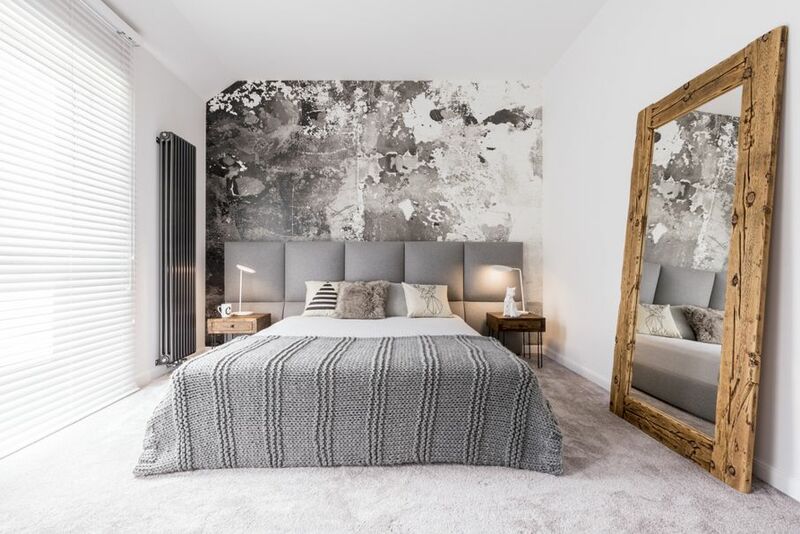 You can also try out some or all of these mirror ideas in House Tipster's Virtual Rooms first to get an idea of what they might look like in your own home.